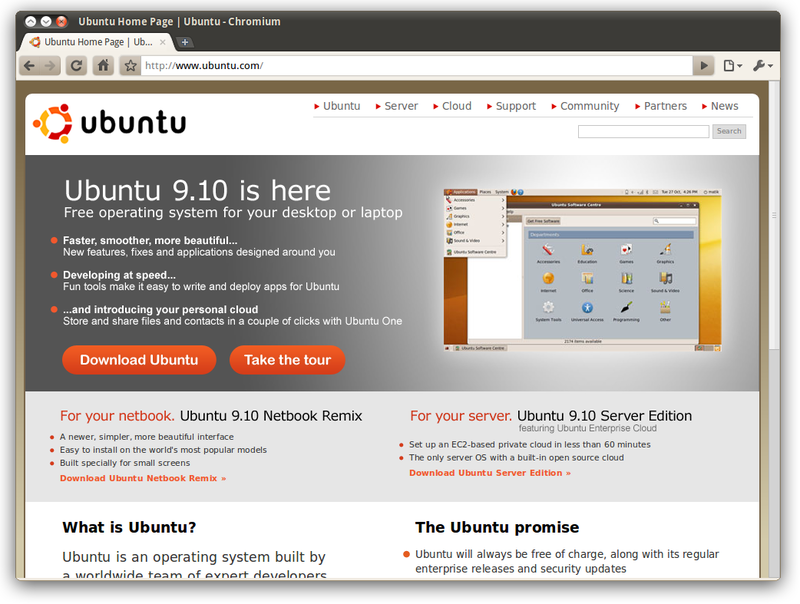 A theme to integrate Chrome/Chromium to the new Ubuntu-Theme "Ambiance" for the Gnome Desktop, which will be shipped with Ubuntu 10.04. 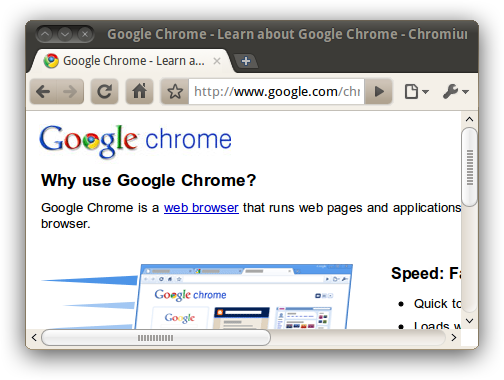 It is designed to be used with the native (Metacity) window decorations, instead of the custom Chrome title bar. 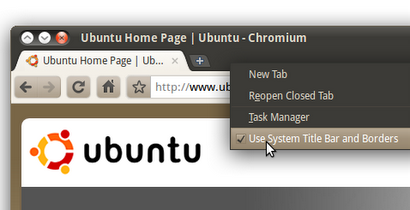 On the Linux versions of Google Chrome and the Chromium browser, this can be enabled in the context menu of the header area (to the right of the tabs, see second screenshot). Customized scrollbars to match the Ambiance Theme for the upcoming Ubuntu 10.04. Typically you will want to install it together with the Ambiance Theme for Chrome. However, it has no dependencies on either of these themes, so it can be used independently and should also work on Windows and MacOS.